I am initially ordained as a deacon Ivan Dimitrov Ivanov on 19.10.1981 from the bishop of Vidin Filaret. On 26 october the same year I am ordained as a priest in Loposhansky Monastery. On 07.06.1987 I entered as parish priest at Temple “St. 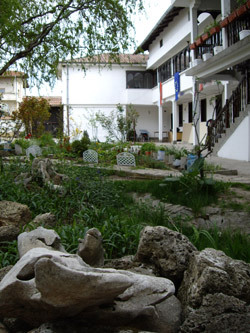 Trinity” in Novi Han village. 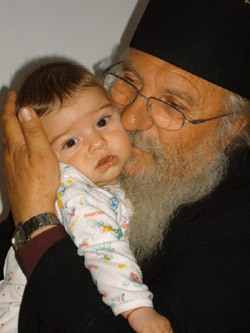 From great wednesday in the year 2005 now I accept shima and became hieromonk Yoan. In the name of God I gave pledge to build an Orphan's Home and to care for little children. Here in Novi Han village I found a Church with big yard, who was completely empty and there was not even fence, and I decided, that here I can accomplish my pledge and began with the Bless of God and the Bless of his Holiness Bulgarian Patriarch and Bishop of Sofia Maxim. In 2004 I was nominated for “Bulgarian of the year”, as the prize was given from the President of Republic of Bulgaria – Mr. George Parvanov. In 2005 I was honored with the award “Worthy Bulgarian of the year”, which was given from the prime minister Sergey Stanishev. I have other awards from different foundations as well.